Are you being misclassified as an Independent Contractor? Why does the question matter? Because if you are misclassified as an independent contractor, you could be losing important legal protections and benefits. This article covers four related topics. 1) Why does being misclassified as an independent contractor matter? 2) What is a correct classification of independent contractor? 3) What are my California remedies if I have been misclassified as an independent contractor? 4) Are class actions effective for employees who have been misclassified as an independent contractors? Why will this article be useful for both employers and employees? This article will be useful to employees because it will illustrate the benefits that you are losing if misclassified. This article will also assist employees in knowing how to obtain compensation and even penalties from the employer who misclassified you. Finally, this article will address these matters in plain English for the benefit of employees. The article is also useful for employers who want to follow complex regulations, and who want to avoid enormous statutory penalties. Why does being misclassified as an independent contractor matter? 7. Only employees have “whistleblower” protections against retaliation. 8. You may discover that you are without unemployment insurance benefits or disability benefits to the state of California or other state where you work because there have been no contributions by your employer. 9. Many employers will offer a 401(k) plan. You are being denied the tax benefits of contribution, and denied the employer’s matching contribution. 10. Many employers provide medical/dental benefits; and law requires the right to continuing coverage after leaving the employment. [COBRA]. Not so for independent contractors. 12. You’re not provided with a guarantee of continuing employment on return from a medical leave. The right applies if your “employer” is covered by the federal Family Medical Leave Act [FMLA] or California’s equivalent California Family Rights Act [CFRA]. 13. Some employers offer short-term and long-term disability plans not available to independent contractors. 14. You may be excluded from participation in profit sharing or stock options. 15. You’re being denied reimbursement of your actual expenses associated with the employment, which employer is required to pay but an independent contractor does not receive unless by agreement. 18. 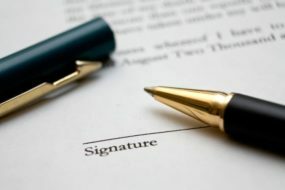 You may be named personally in a lawsuit for personal liability because you caused injury to a third-party during the performance of your so-called “independent contractor” duties, when, as an employee, your employer would be liable for your actions, and would be required to indemnify you from liability. 19. If you’re wrongfully classified as “independent” you not be paid on time, and your only recourse would be a basic business contract breach. As an employee, you have the right to regular payroll payments on time, or the employer faces late time penalties. 20. If you have to sue, an independent contractor’s only right to recover attorney’s fees is in the contract for work. A California employee who wins his wage claim can recover attorney fees by statute. What is a correct classification of independent contractor? Correct classification as an independent contractor requires the answer to a primary question: How much control is the “client” or “customer” exerting over the person performing services? In essence, every other criterion is simply a subset of this control question. 8. Is hiring someone for a steady supply of services going beyond any particular project or assignment. 9. Is requiring the contractor to identify himself to their parties as “with” or as an “agent” or “representative” of the Company. If your own mental checklist is inconclusive after running these criteria against your own situation, you’re in good company. Some factors will weigh in favor of independent contractor status, but others will point to employee status. This kind of ambiguity is not unusual because decisions are reached on “case by case.” You will be deemed an employee and not an independent contractor if the preponderance of the evidence points to the customer’s control over the methods and manner of your work. Control means the Right of Control, Not the Fact of Control. Employees scored a major victory in June 2014 by the California Supreme Court in the case of Ayala v. Antelope Valley Newspapers (2014) 59 Cal.4th 522 [Full “Ayala” Case Opinion] Here is why: the Court made it much easier for employees to proceed by class action to recover damages related to misclassification as “independent contractors” when in fact the employees were entitled to overtime, rest breaks, meal breaks, reimbursement of medical expenses, and various other non—economic benefits in the nature of tax contributions and workers compensation insurance. Employees should not be misled because the employer provides them with a written agreement that acknowledges independent contractor status. The agreement is only one factor, and in fact a secondary factor. The primary factor is the actual control exercised by the employer over the conduct of the so-called “independent contractors.” The key point is that if the “independent contractor” agreement allows the employer to exercise a uniform control over how the work is performed, then the controlled workers will be considered “employees.” The reason is that the “right of control” of an employee’s work’s details is the predominant factor considered by the courts in deciding the “misclassification” question. For example, if the employee must comply with company dress codes, must report regularly, must maintain company records, must report time use, must follow a prescribed schedule or manner of delivering the work or service, and is precluded from freely offering his services to others as part of an ongoing personal business, then “employee status” is likely to be found. Misclassification as Independent Contractors and Class Action Certification. The Ayala decision is also a powerful decision for employees misclassified as independent contractors is not that it clarifies it clarifies how a court is to “certify” the case as a “class action.” Employers want to continuously complicate the certification process by trying to show that there are very few common issues and that the issues are so complex and diverse among employees that the case is “unmanageable” for class-action status. The Ayala decision is a powerful tool because it cuts through this argument by clarifying that it is the “right of control” rather than the actual “exercise of control” of an employee’s duties that will determine class-action status. State and Federal Law Punishing Misclassification as Independent Contractors. The abuses of the independent contractor status is so pervasive that the United States Department of Labor has initiated a program to work with the various states to identify violations, and seek enforcement. See U.S. Dept of Labor Initiative, “Employee Misclassification as Independent Contractors“. California several years ago enacted a new Labor Code Sections 226.8 and 2753, giving real teeth to lawsuits based on misclassification of California employees as independent contractors. Labor Code section 226.8, enacted in 2011 and amended in 2012, imposes hefty penalties on employers who willfully misclassify employees as independent contractors. If a court issues a finding that an employer has willfully misclassified its employees, the court is instructed to issue a penalty of not less than $5,000 and not more than $15,000 per violation. If the court finds that there has been a “pattern and practice” over the years of misclassifying employees as independent contractors, then the court is allowed to increase the civil penalty to be not less than $10,000 and not more than $25,000 per violation. Finally, there is another Labor Code section that extends liability to persons who counsel employers to misclassify their employees. Labor Code section 2753 states that a third-party consulting service provider that unknowingly advises a company to misclassify its employees as “independent contractors” is jointly and severally liable with the employer. This section will probably have significant impact on companies that provide employers with “turn-key” services [such as placement agencies or H.R. consulting firms.] 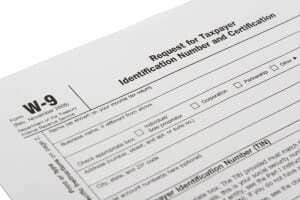 However, it could also include other business consultants, CPA’s or other tax specialists. Are class actions effective for employees who have been misclassified as independent contractors? Why be a member of a “independent contractor” misclassification class action? Your individual recover y of damages may not be sufficient to justify the time and money to recover those damages and penalty. But when you join a class of similarly situated employees with the same legal and factual issues, one proof serves all. You at least have recourse to a “cost effective” remedy. Under the “class action” rules, you are automatically a member unless you elect to remove yourself from the class in order to proceed on your own. But as most people understand, the amount in question for any one employee is probably not worth that employee’s time, and certainly not always worth the time of an attorney who is working on a contingency fee basis. This economic reality is one of the reasons why the courts favor class actions. Class actions allow justice to be achieved because attorneys are motivated to pursue damages on behalf of the entire class, and each class member receives some measure of compensation for his or her loss. Let us suppose that these four criteria are in fact satisfied, but there is still a question: who will be the representatives of the class, that is, whose names will appear on the pleadings, and who will step forward to be a “typical” employee seeking redress? Usually somewhere between 3 to 10 employees will lend their names to the pleadings. If that person is you, then you are probably motivated by a desire to see justice done, and quite possibly because you are angry about how you have been denied your rights over the years. The court will want to determine that your claims are typical of those of all the other members of the class. You will be required to devote some additional time in working with the attorneys to see that the class goes forward. However, the court has the discretion to award you a “premium” or “multiplier” of your individual damages because of your service on behalf of the class. The Ayala decision creates a perfect framework for misclassification as independent contractor class action cases because one contract, or perhaps several with the same essential rights of control, may apply to hundreds of misclassified employees. If are exploited by an employer cutting operational costs at your expense by misclassification, you should consult an employment attorney. This article has examined the widespread problem of misclassification of employees as independent contractors, and explored how you can reframe your thinking if assuming a verbal or written agreement decides the issue. California companies daring to practice misclassification of employees as independent contractors risk a high cost, including tiers of civil penalties, the payment of attorney’s fees, and the intervention of state and federal agencies to recover unpaid tax contributions. Author Frank Pray has 40 years litigation experience and has spent the last 25 years of his career representing only employees in wage and hour, overtime, discrimination, and whistleblower cases. He is a 1977 graduate of University of San Diego School of Law where he published two law review articles.